Since we are web developers, we are always looking for products and services to make our life easier. Some of those products and services are used in every project other projects just require a few. Some products we like so much that we have become affiliates and will make a few bucks if you purchase the product or service through our link. 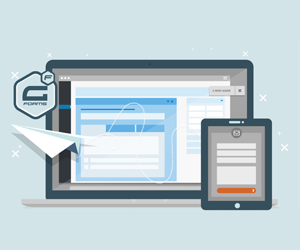 SiteGround was built with speed in mind. They developed their own caching mechanism that works with WordPress and Drupal. You can always be sure they are working with the latest version of PHP which is critical for speed and security. AND their tech support is GREAT – always available and knowledgeable. 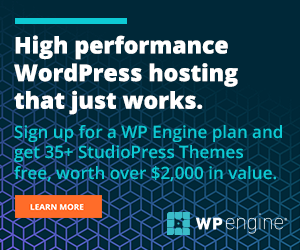 If your site is getting more and more popular where the unique visitor count is increasing exponentially, you may want to consider a dedicated WordPress hosting company like WP Engine. GreenGeeks promises a hosting platform specially engineered to perform while being environmentally friendly and boasting the best speed technology, better security, and down-to-earth technical support. We have been using StudioPress and the Genesis Framework on our site and many of our WordPress projects for a while. StudioPress provides a number of themes that you can purchase for use on your site. They have designed appealing themes that are fast, secure and allow for easy customizations that can give your site that special touch you are seeking. If you are building multiple landing pages or sales pages for your various products and don’t want to be encumbered by HTML coding, the Divi theme from Elegant may be exactly what you need to produce responsive pages for your website. If you are looking for a terrific contact form, there is no better than Gravity Forms. Create multi-page forms easily. Accept payments via order forms created with minutes. The team at WebSharks has developed a free and premium membership plugin for WordPress that is robust and feature-rich. The power of their free membership plugin is amazing and highly recommended. What’s more is that WebSharks has a plethora of videos on their support site that can assist you in implementing your membership website. The premium version of the plugin offers integration with other eCommerce options like 1ShoppingCart.com and InfusionsSoft. 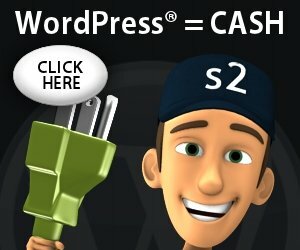 We used and promoted a very popular WordPress Caching plugin which was free to download from the WordPress repository but it was complex and confusing and did not always work for every site. We stopped pulling our hair out and purchased this premium plugin and recommend it highly. Performance is better and without all the hassles. WP Rocket works SiteGround and WP Engine. Stackable is a free WordPress plugin that adds 22 new and unique blocks to the new Gutenberg editor. This plugin makes it easy for you to add blocks to pages and/or posts to create compelling designs to enhance your content. There are many domain registries but we find that Google Domains is easy and simple. We hope you do too. Trello is an online tool that provides a visual way to manage your projects and organize any task. Create a Board for each project and then set up your lists and add task cards to each list. Simple and easy. You’ll wonder how you worked without it. We have found a terrific productivity tool that integrates word processing with formulas, charts and tables to produce rich documents that can be used to as custom applications. You can read our review of Coda.io here. Zapier enables you to integrate two applications via a Zap thereby automating a task that many times you perform manually. Identify a “trigger,” like a new order created via WooCommerce, then specify the “action,” such as add the customer’s contact information to ActiveCampaign. The fax machine is an outdated piece of office equipment but there are some times when you need one. Why maintain a piece of equipment that is just collecting dust in the equipment cabinet? Send faxes securely and easily via the HelloFax service. ActiveCampaign is an email marketing block. You can use this space for describing your block.